Bhubaneswar, December 6: As the nature lovers of the Twin Cities have started exploring the wilderness in the vicinity of the Capital city, Chandaka was the first choice of the nature connoisseurs. 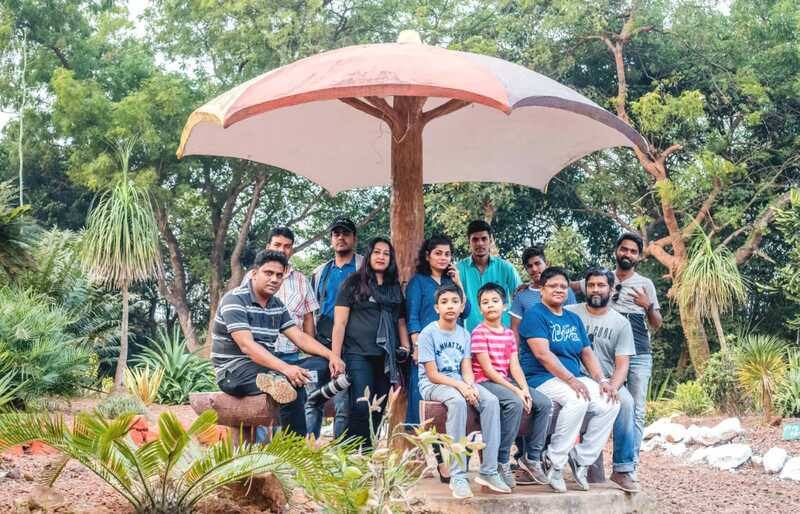 After the Chandaka Nature Trail another started at Nandankanan, the famed zoo of India, which boasts of keeping its wild animals in enclosures close to nature. 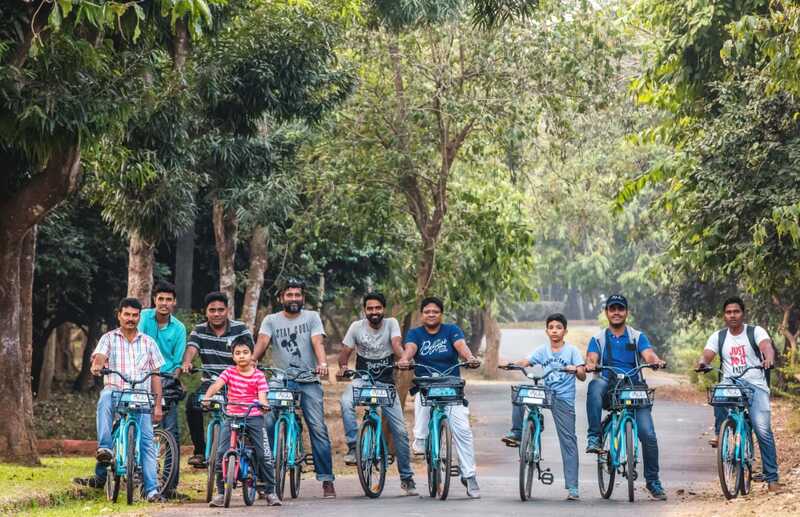 But, with the cycling taking the city by storm with the launch of Mo Cycle, as the Chandaka Wildlife Sanctuary went abuzz with its first cycle trail yesterday, Nandankanan Biological Park followed in the footsteps and began its journey on the pedals with more than 10 nature enthusiasts joining the journey and discovering the beauty of the wilderness with the romanticism of cycling inside a forest area. This was part of the Bhubaneswar City Festival or .FEST under the Trails programme. 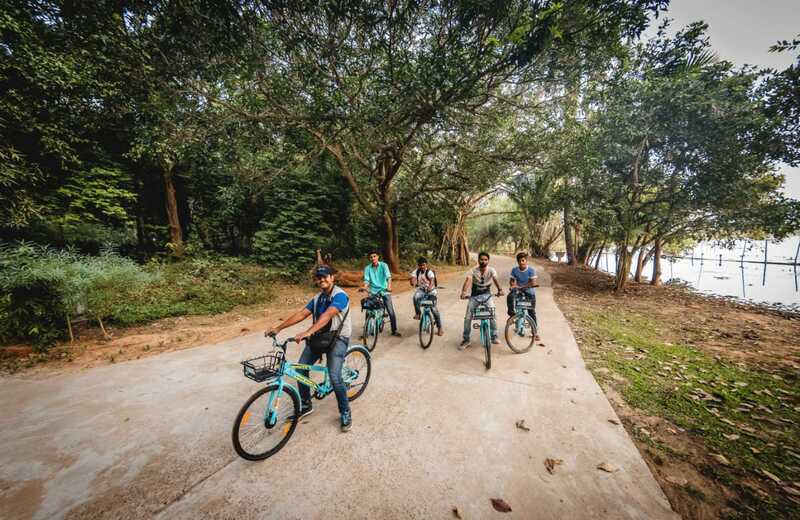 Emphasising the need for green space and to encourage cycling in the smart city, Bhubaneswar Development Authority has come up with cycle trails as a part of Bhubnaeswar Nature Walks. Curated by Playbook Consultancy, the nature walk series has received a great enthusiasm by the city dwellers of all age groups. The cycling trail started at the main gate of Nandakanan and ended at the Glass House. Cyclists were enthralled by the beauty of the rose garden with 55 different varieties of roses and 1,200 plants in total. The cyclists pedalled around the Botanical garden witnessing an array of winter blossoms. They were briefed about the history of the park and the varieties of gardens by the Assistant Conservator of Forest, State Botanical Garden, Girish Satapathy. 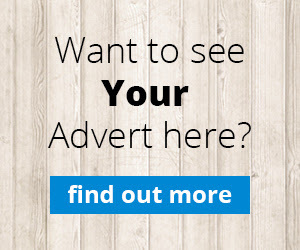 The State Botanical Garden, spread over an area of 75 hectares, covers 24 different satellite gardens and parks amalgamated well with natural vegetation and meadows. The butterfly park located within the premises, has 6,400 butterfly dependent plants and more than 81 species of butterflies. The cyclists wheeled around the Botanical garden witnessing an array of winter blossoms. They were briefed about the history of the park and the varieties of gardens by the Assistant Conservator of Forest (ACF) , State Botanical Garden. Pedalling up a steep incline, the participants reached the Rosarium or Rose Garden where they were left awestruck by the crimson carpet of roses and the 1,200 distinct varieties of roses. Another special attraction for majority of the cyclists was the glass house, a star attraction for its gems of succulent plants. The motley of bonsais startled the visitors and amassed great appreciation from the young enthusiasts. The carnivorous garden exhibits four different kinds of plants. On the way back to the starting point, the nature lovers cycled along the turquoise Kanji lake, with a brief stop nearby , to witness the most mesmerising reflection of the winter sunset and were thrilled to spot a variety of smaller birds nesting near the marshes of the water body. The ACF also informed the walkers and cyclists about the carnivores plants garden and the various plants on display. Little explorers from St Joseph’s Convent School , Bhubaneswar were visibly enthralled by the insectivores plants and the eating habits. Other points of attraction included the dry garden and the exquisite collection of cacti. The Butterfly Park with its unique collection of butterflies’ dependant plants left the visitors delighted and eager to return for more of such guided trails. “I was so stunned to know the various innovative ways in which these plants catch their prey,” said two students from St Joseph’s Convent School, Sarvagya and Dhananjoy. The glass house, where the cyclists ended the trail at, is a 2013 square feet area housing succulent plants adding beauty to the entire set up. The cyclists enjoyed the blooming ornamental plants. On the way back to the starting point, the cyclists rode around the corners of the turquoise Kanjia lake, with a brief stop nearby to witness the most mesmerizing reflection of the sunset and a variety of smaller birds nested in the marshes. “It was really peaceful and a beautiful experience. I definitely want to come here often,” said Madhumita Mohanty, another cyclist.